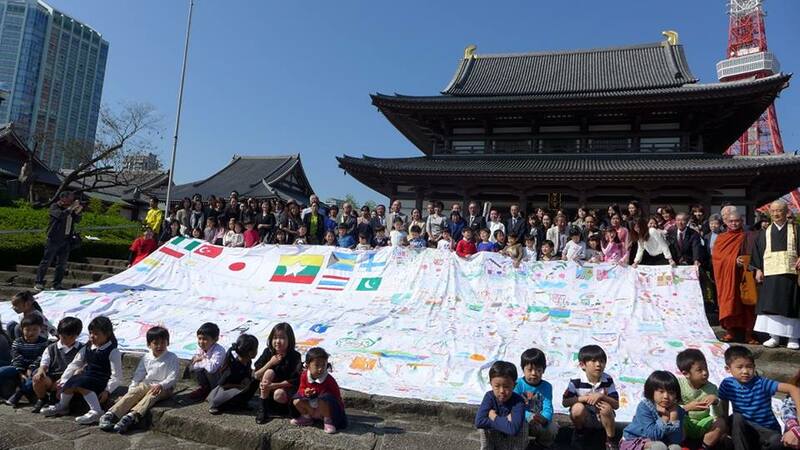 250 children of Zalon Primary & Secondary School, one of the GMI temple schools in Yangon, Myanmar, painted the Biggest Painting in the World on 5 pieces of 1 X 5m cloth and displayed the joined piece at their Myanmar Festival. 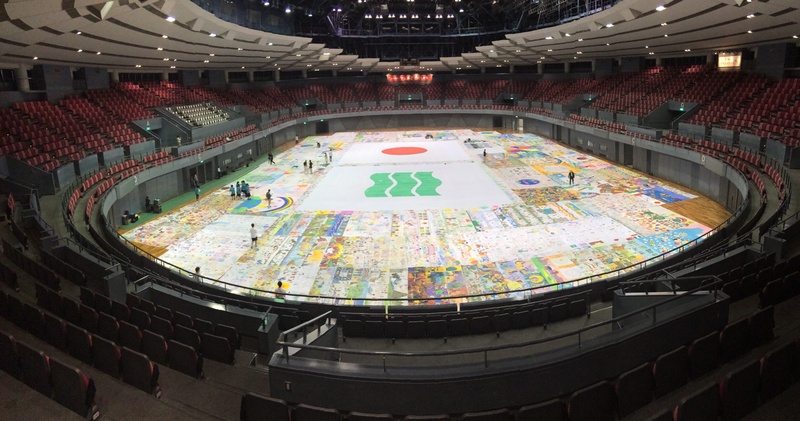 It will be displayed at the Myanmar Festival to be held in October at Shiba Zojouji Temple in Tokyo. 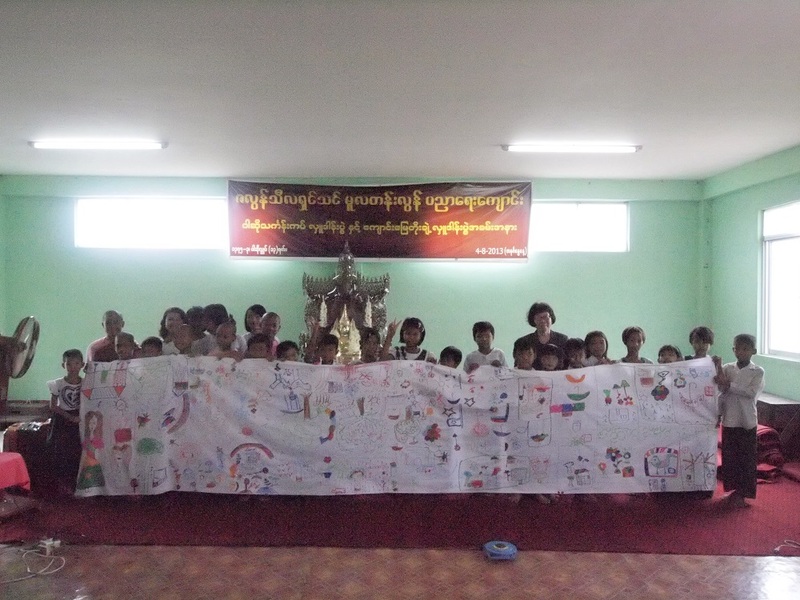 250 children of Zalon Primary & Secondary School, one of the GMI temple schools in Yangon, Myanmar, painted the Biggest Painting in the World on 5 pieces of 1 X 5m cloth and displayed the joined piece at their Myanmar Festival.